A special and uplifting event was held at the Dublin High School Student Union on Wednesday evening. 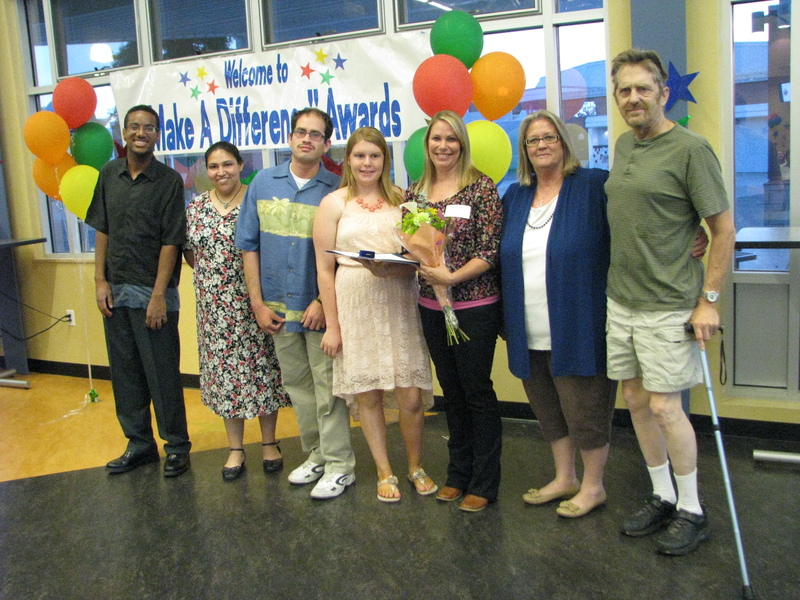 Dublin High School was the site of the annual “You Make the Difference” Awards Program. This celebration is hosted by the Tri-Valley Special Education Local Plan Area (SELPA) and the Community Advisory Committee (CAC). SELPA coordinates special education services for the following education agencies: Dublin, Livermore, Mountain House, Pleasanton and Sunol. What makes this program very unique is that anyone is eligible to be recognized. Families who have received special education support can nominate an individual that has made a positive impact upon their child/family in the past year. It was a joyous evening and 66 individuals or groups were recognized. Among the recipients were Eric Hamilton – Adapted Physical Education teacher and Bree LeMoine – Transition teacher. Prior to the awards presentation, the Granada High School “Shooting Stars” performed a dance movement to Madonna’s “Vogue”. OneDublin.org would like to congratulate all of tonight’s awardees and offer a “thank you” to Director of Special Education, Angelica Thomas, for an invitation to this wonderful event. Everyone can make a difference. To a great teacher and better yet a wonderful daughter. I am proud!